SparkFun USB to UART adapter replacement, without FTDI, with a fuse, and now with selectable 3.3V and 5V power supply. VCC voltage and logic level are determined by this. 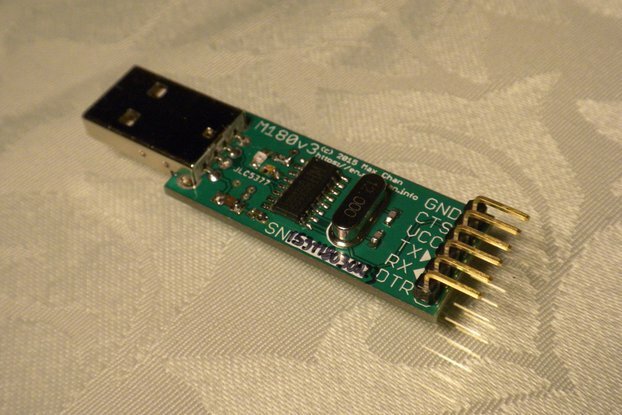 This is yet another USB to UART adapter, or is it? 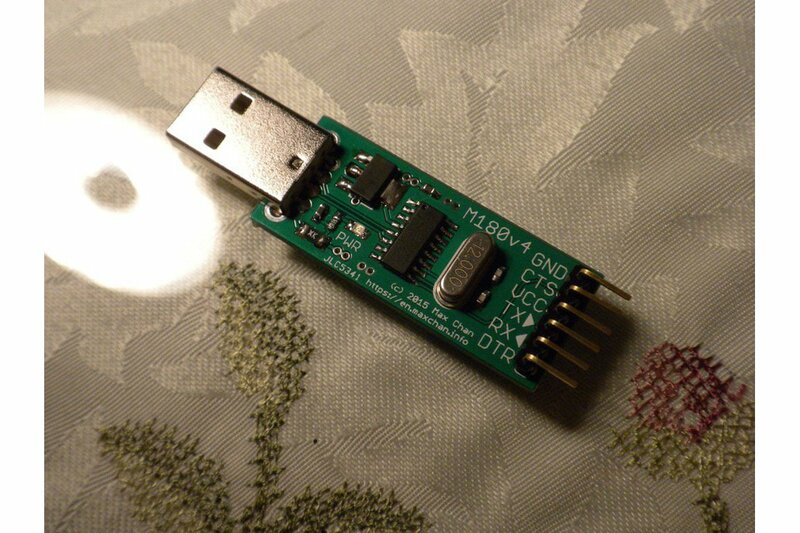 The revision of my previous USB to UART adapter M180v3, and it opened new possibilities. Now there are two models corresponding to this module: M180v4 for 5V operation and M181v4 for 3.3V operation. The unregulated version is not available yet. If you need such an unregulated adapter, you can still buy M180v3 which is half a dollar cheaper. It will not go away for a while, since it is a few millimeters smaller than M180v4 and can fit in some places M180v4 won't. M180v4 and M181v4 are now sharing the same PCB but shipped with different operation voltages using jumper configuration. M180v4 operates at 5V and M181v4 operates at 3.3V. The AMS1117-3.3 regulator footprint is added back to allow switching between 3.3V and 5V operation. Only populated in M180v4-R and M181v4-R variants with a different 3.3V filter cap. Added a jumper on the back of the board to allow operation voltage switching. There is a total of 35 models of M180v4 variants available. Here is an explanation what does the model numbers mean. M180v4: USB to UART adapter, 5V operation. M181v4: USB to UART adapter, 3.3V operation. (n/a): No LED, the LED current limiting resistor is not installed either. For example, the model number M181v4-RF05Amb stands for "3.3V USB to UART adapter with 500mA polyfuse, auxiliary regulator and amber power indicator LED"
The missing pin indicator silkscreen is added. The AMS1117-3.3 regulator is removed after experiments revealed a way to make the internal regulator inside CH340G stable. Added a power indicating LED per Yuxi Liu's suggestion. Thanks, pal! USB Type A plug instead of USB Type B socket for USB interface. 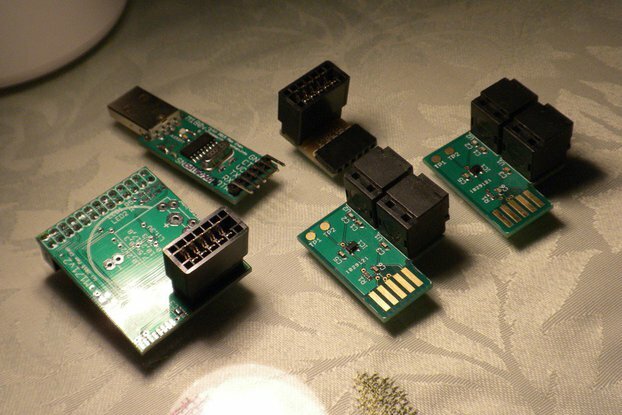 USB to UART adapter with SparkFun FTDI compatible pinout, drop-in replacement of your SparkFun modules. CH340G chipset, plug and play on Windows 7+, OS X and Linux, and immune to either FTDIgate or Prolific fake chip ban. Polyfuse on the USB power line, no more catastrophic "oops" moments. Through-hole USB Type A plug, almost impossible to break off. 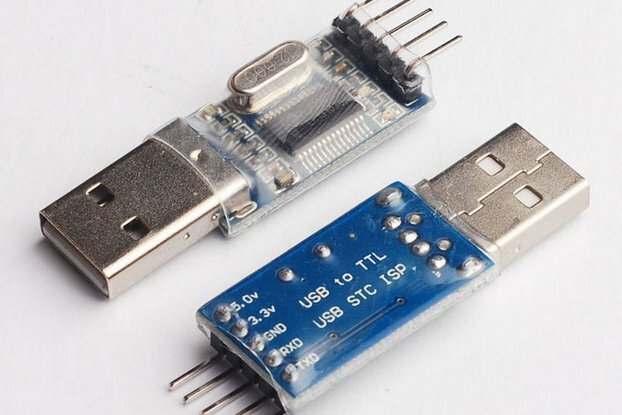 The PCB is as wide as a standard USB Type A plug, will not obscure each other or other standard plugs. Pads for adding a series capacitor (0805-size) to the DTR line for your Arduino-on-breadboard projects. 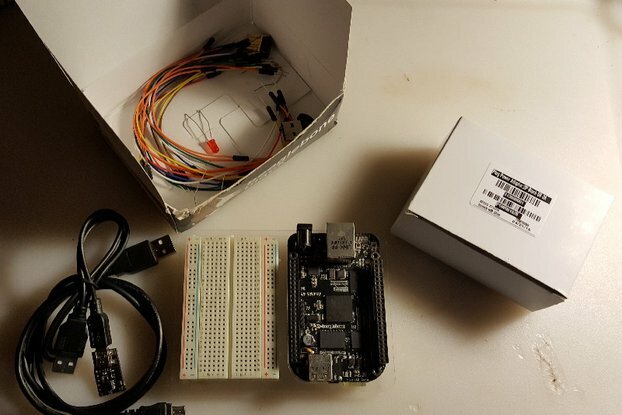 This project is created out of my own necessity: I had a few dodgy FT232RL and PL2303-based USB to UART modules, and the recent Prolific driver update and FTDIgate killed them. However the one of my friends' MCS-51 development board did not suffer from this plague of drivers disabling devices, and it is based on this CH340G chipset. I bought a few of those CH340G chips (which are an order of magnitude or two cheaper than both FT232RL and PL2303 by the way) and initial breadboard testing was a great success, with one problem: the internal 3.3V regulator is a little bit problematic. This issue is tamed in the otherwise ill-fated M180v2 PCB so this M180v3 inherited this part of the circuit. I did have one mishap with the breadboard though: I was being a fool and connected a chip in reverse, shorting out the power rails on the USB port. The short circuit current draw immediately upset my MacBook's USB port and caused it to be shut down. (Thanks Apple for the superior protection circuitry, should this happened while it is connected to my years-old Lenovo desktop it will definitely let the magic smoke out of my chip and probably take out the computer's motherboard too) I decided to make sure whenever USB power is used on my further projects it is definitely fused. During this test while minding other projects, I snapped the Micro-USB jack on my Arduino Leonardo clone, took the traces with it and damaged the board beyond repair. A sad me had to take out my hot air gun and disassemble the Leonardo just to recover the parts, and swear not to use those easily damaged jacks on my projects ever, especially those jacks that will subject to lots of wear and tear like USB. Here comes my design, a USB to UART adapter based on the CH340G chipset, with the same SparkFun pinout, an extra-durable through-hole USB Type A plug, and a fused power rail. There exists a M180v2 revision after the original M180 sold out, but it was ultimately scrapped. The M180v2 PCB have all the features this M180v3 have, but instead of a through hole USB Type A plug soldered onto the PCB, a Type A plug was designed directly onto the PCB - that is, a card edge connector that should mate with a USB Type A socket - but this design was not reliable - not even with any kind of help I can think of. Why is there a new model number M181v4 for 3.3V operation? 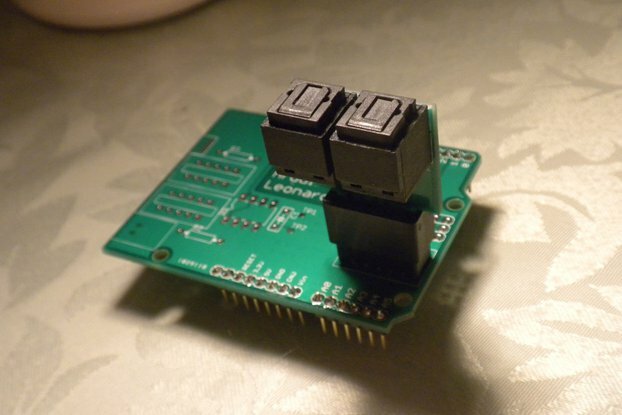 Back when I was selling the original M180v1 I had a design, called M181v1, that is suitable for 3.3V operation, based on M180v1 but had a different PCB layout. That was the first design of the M181 line, although it somehow never left the drawing board. When I began designing M180v4 there was some requests about a 3.3V variant of the M180 line. So instead of producing a separate PCB to fulfill this sector I designed M180v4 PCB with operation voltage selection in mind, resulting the merger of the two models M180 and M181. Now the M181 became synonym of "M180 with 3.3V operation voltage". When you order M181v4 you will get a PCB marked as M180v4, but with a jumper selection making it operating at 3.3V. You can hack this board for your own purposes! On the bottom of the board, I have provided a 0805-sized pad for a series capacitor if you are building an Arduino-on-breadboard project. Just cut the trace between the pads and solder your capacitor there and you are good to go. 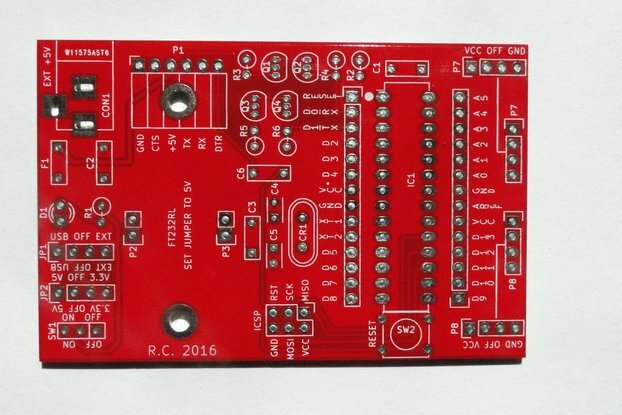 There is a solder jumper on the back of the board that can be used to select supply voltage. 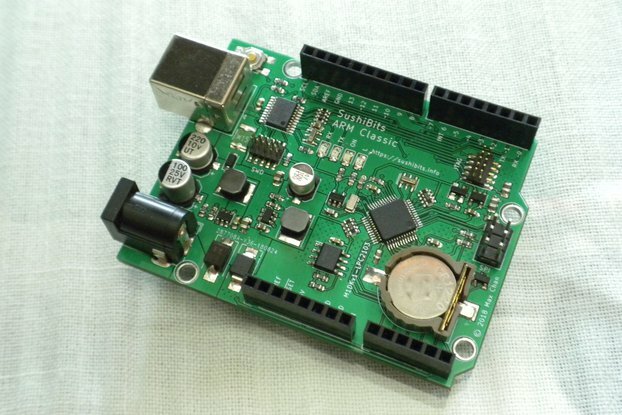 If your board came with the onboard regulator, you can select the supply voltage by changing this jumper. Beware do not short the two side pins together though. If you have a board that does not come with the regulator, you can all the AMS1117-3.3 regulator yourself but that will also require replacing the 3.3V filter capacitor. I am Max, a college student major in computer engineering and dabbles in electronics engineering. This is one of my just-for-fun spare time projects. This board is hand assembled by myself. Made in Shanghai with love, it will not be your one-hang-low Shenzhen crap.